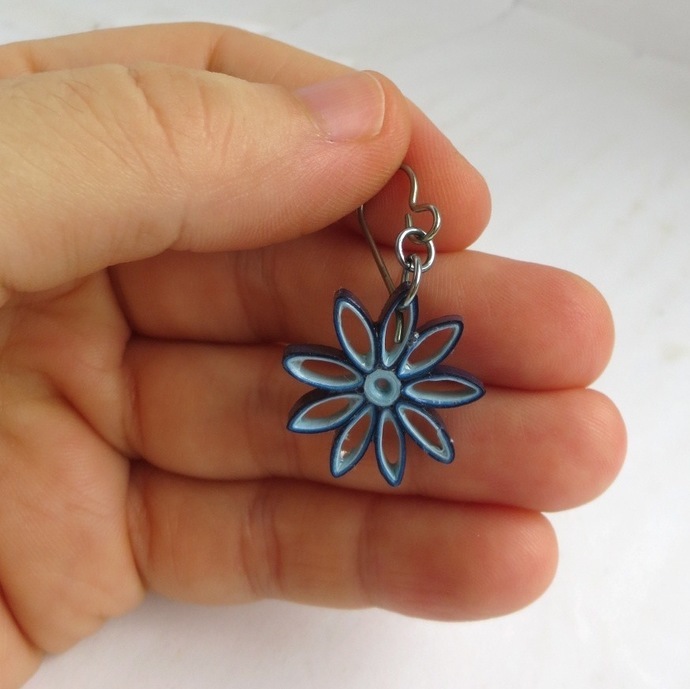 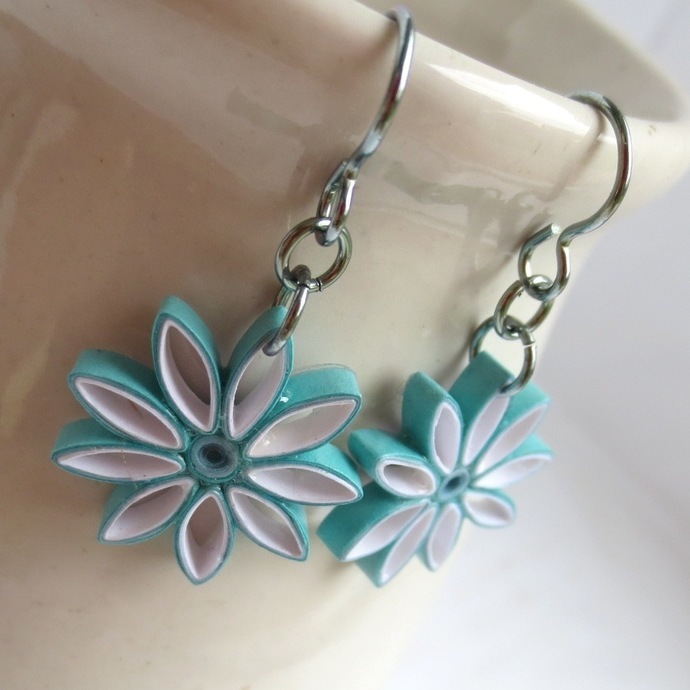 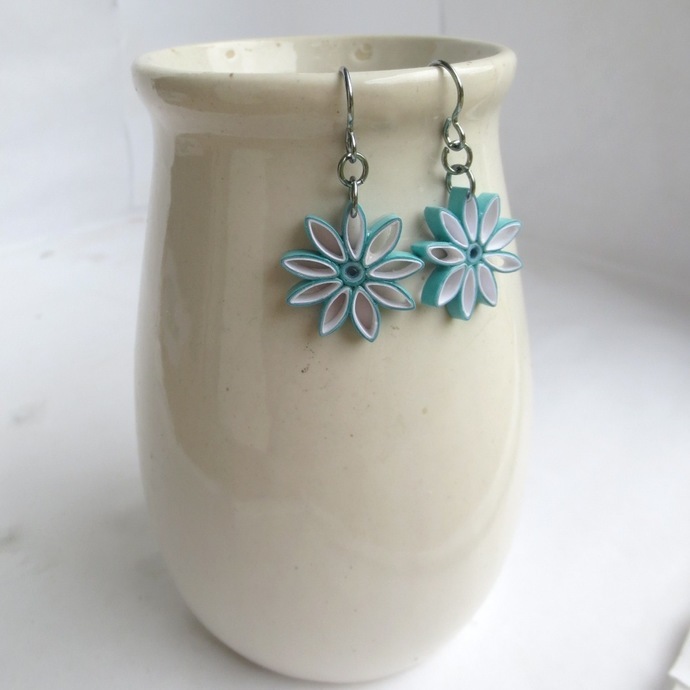 These eco-friendly nine pointed star quilled earrings are handcrafted by the art of paper quilling. 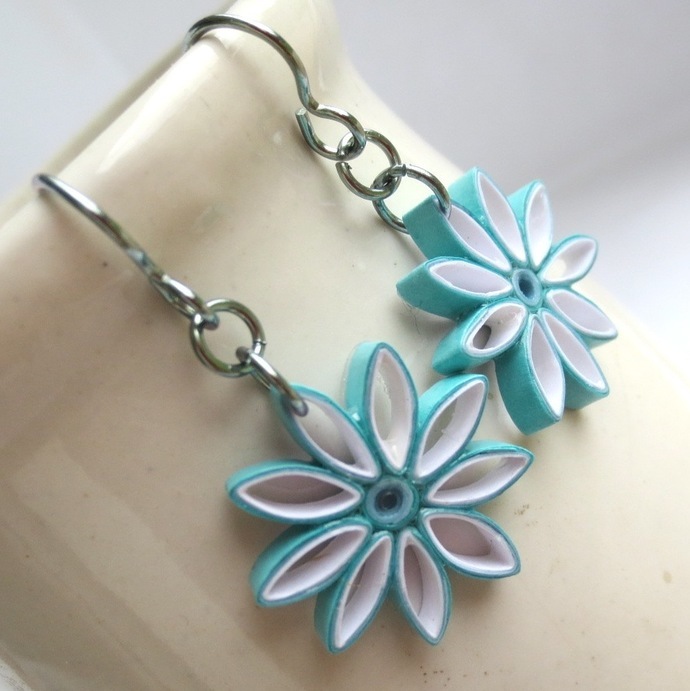 I used strips of specialty quilling paper in white and two shades of aqua to make this cute flower-like design in aqua ombre. 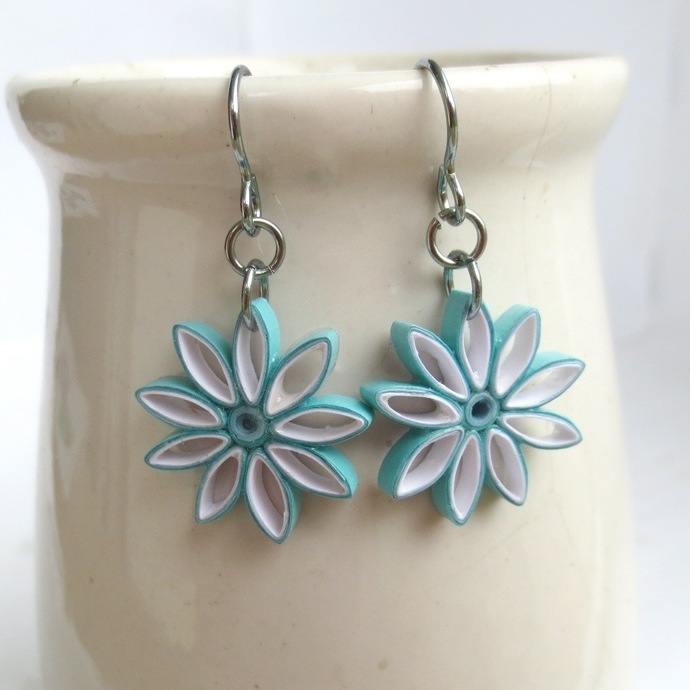 These would make great bridesmaid gifts and can be made in any color(s)!